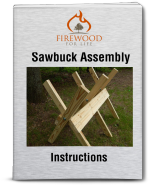 Apple firewood is a very desirable wood sought after by many people. The dense hardwood creates a nice, sweet smelling fire that generates a lot of heat with good coaling qualities. In fact, apple wood is so desirable a vast majority of the wood never experiences the inside of a fireplace. So where does it go? The rich colored wood is popular for furniture making and its sweet smelling, delicious aroma makes it one of the most popular smoking woods around. In the end, most people think apple is to valuable or cherished to throw in a wood stove or wood furnace. Apple is more of a specialty wood that's used for specific purposes, not just everyday heating. Can you burn apple everyday? Of course, if you're lucky enough to have a large supply. But for the rest of us the wood is a novelty and most are willing to pay a higher price for it compared to other similar hardwoods. The apple tree is one of the most widely cultivated fruit trees around and it's known for its delicious sweet flavored fruit.......the apple. The apple tree originated in Central Asia thousands of years ago. Since then, the tree has spread throughout most of the world. The apple tree itself is a relatively small with several low hanging branches. The low branches make obtaining the apples easier and several hybrid species have been cultivated to achieve this effect. If you're looking for apple to burn this year you can expect to pay more for the wood than a typical firewood like oak or maple. 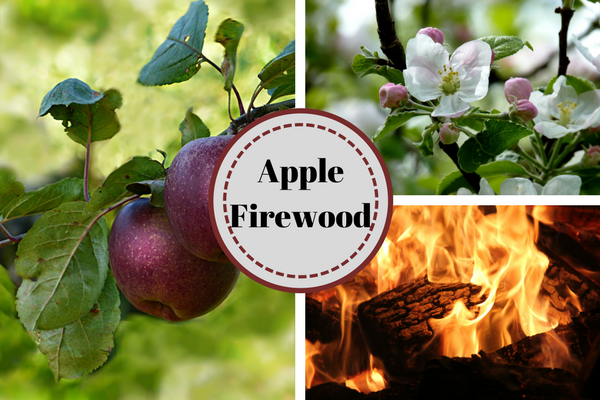 Apple firewood can also be somewhat difficult to obtain if you don't live near an orchard. Large apple orchards are probably the easiest and most affordable places to find apple firewood. As the trees start to age and die, the orchards will need to replace the old trees with younger, healthier trees. Apple can also be purchased online or from other large suppliers, but the cost of shipping the firewood in bulk is too expensive for most people. Apple is probably best known for it's cooking qualities. In fact, most people would agree it's the most prized, highly sought after wood for smoking and cooking competitions. 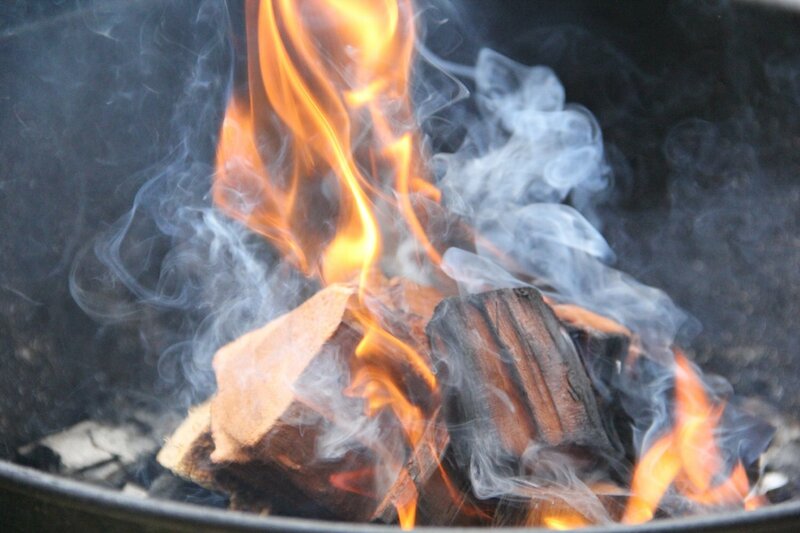 The wood burns hot and creates excellent coals making it a good choice for cooking in a fire pit. The flavorful smoke is mild and not overpowering but still contains enough sweet flavor to complement almost any meat. If you cook with wood, I highly recommend cooking with apple. If you're looking to buy the firewood and don't have access to it locally, buying it online is one of the easiest options. Online retailers offer bags of apple for a decent price. Apple is a firewood cherished by many people. It offers a unique smell, flavor and coaling qualities that's hard to beat. So go ahead.....give it a try......you won't be disappointed. Apple will create 27.0 million BTUs per cord.